Gender, especially masculinity, is a perspective rarely applied in discourses on cinema of Eastern/Central Europe. Masculinities in Polish, Czech and Slovak Cinema exposes an English-speaking audience to a large proportion of this regions cinema that previously remained unknown, focusing on the relationship between representation of masculinity and nationality in the films of two and later three countries: Poland, Czechoslovakia/the Czech Republic and Slovakia. 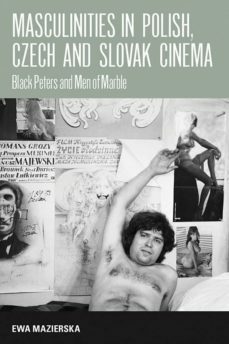 The objective of the book is to discuss the main types of men populating Polish, Czech and Slovak films: that of soldier, father, heterosexual and homosexual lover, against a rich political, social and cultural background. Czech, Slovak and Polish cinema appear to provide excellent material for comparison as they were produced in neighbouring countries which for over forty years endured a similar political system – state socialism.